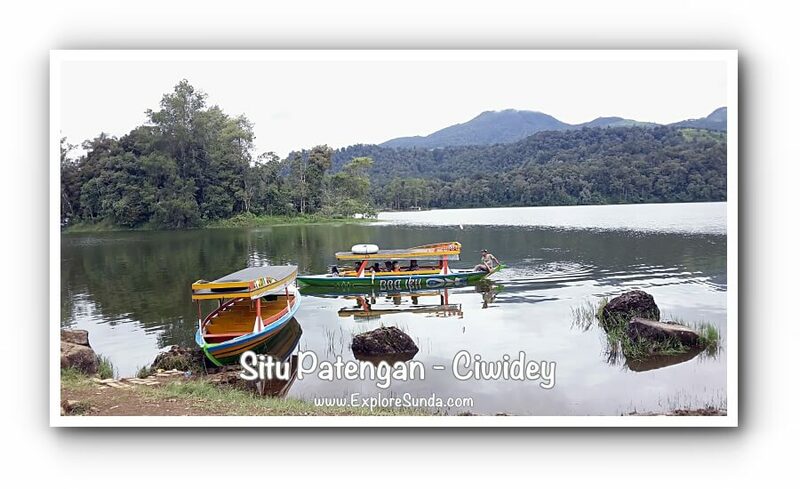 Situ Patenggang in Ciwidey, has a new place for family vacation! 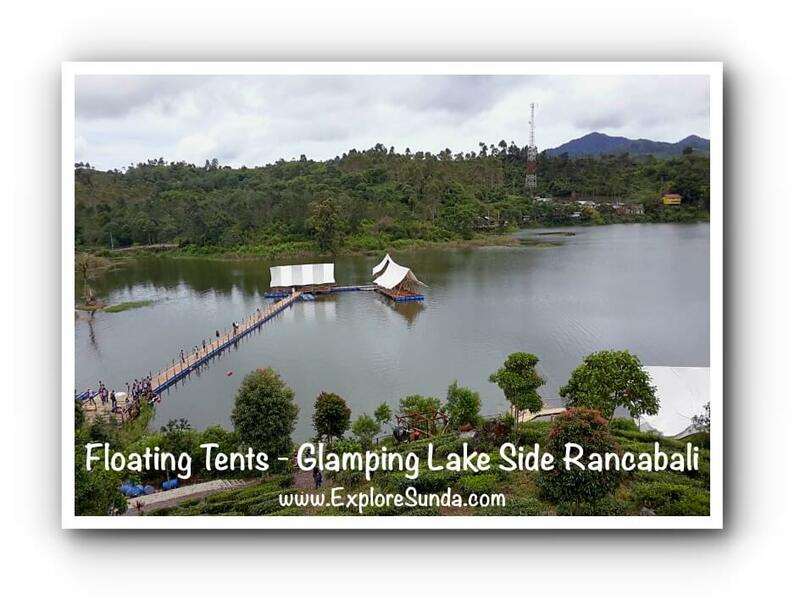 Its name is Glamping Lake Side Rancabali. It offers glamping (glamour camping), boat shaped restaurant, floating tents for hang out in the lake and gathering activities for company outing. Glamping or Glamour Camping is a new trend of camping. It is for people who want to experience camping but still have the comfort of a hotel. 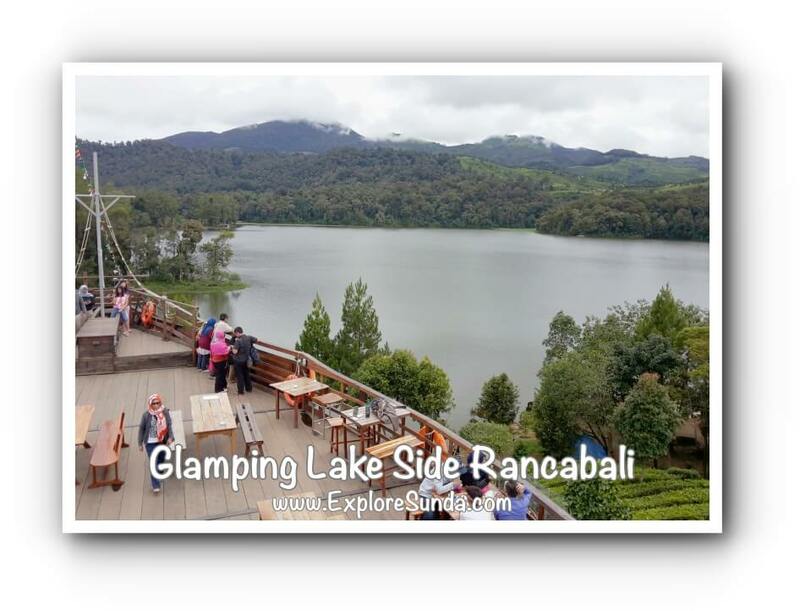 The Glamping in Rancabali tea plantation is exactly offering that kind of experience. The tents are set up right in front of the lake. However, don't be fooled by the outer look. They offer a hotel room inside, complete with a boat shaped bed and a wash room. Unfortunately, spending a night here is expensive. We don’t have to be one of the glamping’s guest to enjoy this resort. 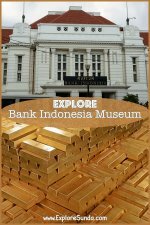 Once we have paid the entrance fee, we are welcome to explore it. After several kilometers, we will see a big wooden ship on top of a hill surrounded by tea shrubs. That’s our destination: the restaurant of Glamping Lakeside Rancabali, called Pinisi Resto. After we park our car, then we will be able to see white tents beside this restaurant. Both the restaurant and the tents are facing the lake. 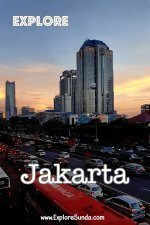 The restaurant serves sundanese food and traditional snacks such as fried banana, but overall they are not really tasty. One thing for sure: they don’t serve cold drinks or ice, they even don’t have ice cubes! Should you prefer hotdog, you can buy it at the food trucks in front of the restaurant. On the contrary to the taste of the food, the view here is absolutely amazing. The photo opportunities are endless. After we satisfy taking pictures from on top of the deck, we can walk around the property. We can go down until we reach the lake shore. This is where the famous Batu Cinta is located. The first time I saw Batu Cinta, I am disappointed. It is only a man made stone wall that describe the legend. I am guessing whether the huge mossy stone next to it is the real Batu Cinta. 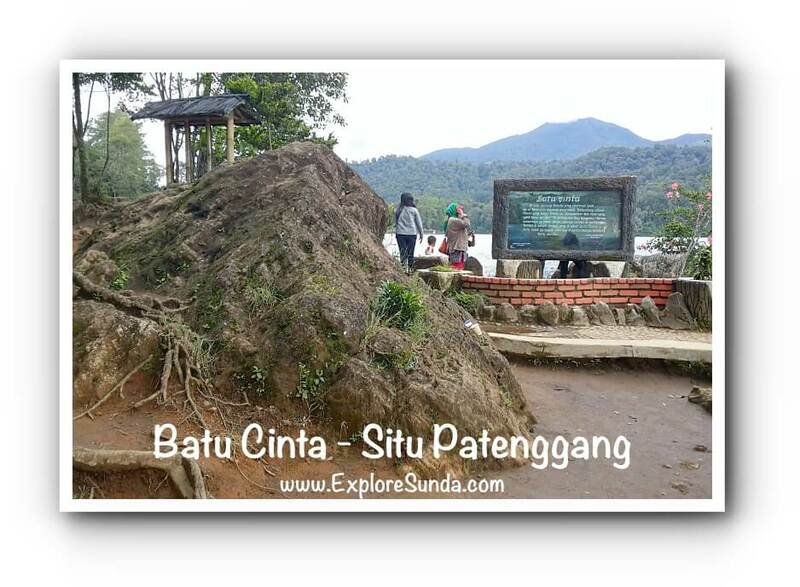 We can hire a boat and cross the lake from here, where we will arrive at the former entrance of Situ Patenggang. Another unique place to hang out in this resort is floating tents. Many empty plastic barrels are assembled to float them. These floating tents are safe because the lake is very calm and the wave is almost non-existent. But of course we still have to be careful and watch our children not to tumble into the lake because there is not any fence bordering the edges. There is another spot to visit in this area: Rengganis crater. I saw the road sign once when we were in the middle of Rancabali tea plantation, unfortunately the direction is not clear enough. I heard it is another beautiful crater with hot springs, but that will be for another day and another adventure. The entrance to this resort is located between Kawah Putih and the former entrance to Situ Patenggang. 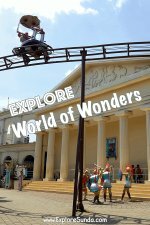 You will not miss the entrance with its big signage and a row of entrance ticket booths leading us to drive through the Rancabali tea plantation.